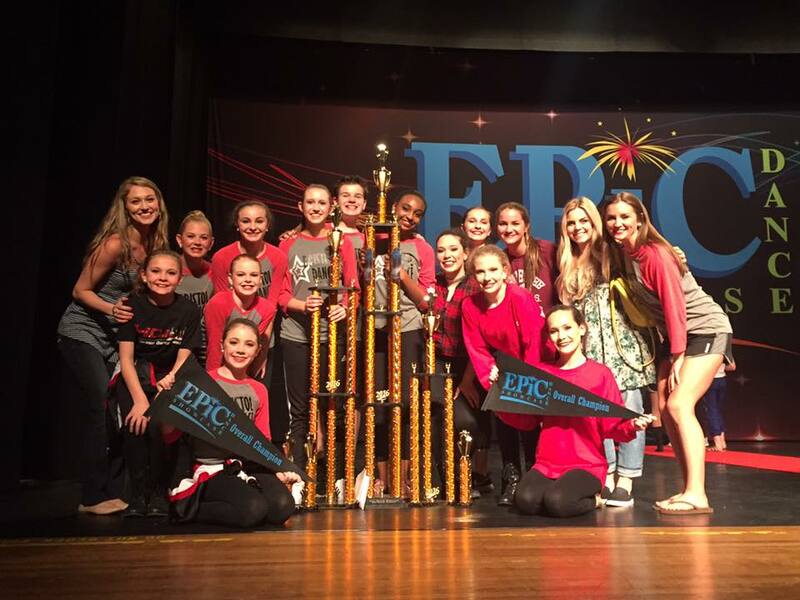 Bristol Dance Academy » EPIC Grand Champions in Asheville, NC!!! Wow! What an amazing weekend BDA had at Epic Dance Showcase in Asheville,NC! With the combined scores for all of our dances Bristol Dance Academy brought home the Epic Grand Champion Winner of the regional competition! Way to go kids! I am so proud of you all! Here are the results: Lydia Vinson - High Platinum, Top Overall Junior Competitive Solo, and a Scholarship Danny Hardwick - High Platinum, 2nd Overall Teen Competitive Solo, and a Scholarship Katie Potter - High Platinum, 3rd Overall Senior Competitive Solo, and a Scholarship Kathryn Curtin, Ashley Harrell and Grayson Hicks - High Platinum, Top Overall Junior Competitive Duet/Trio, and the "Choreography Award"